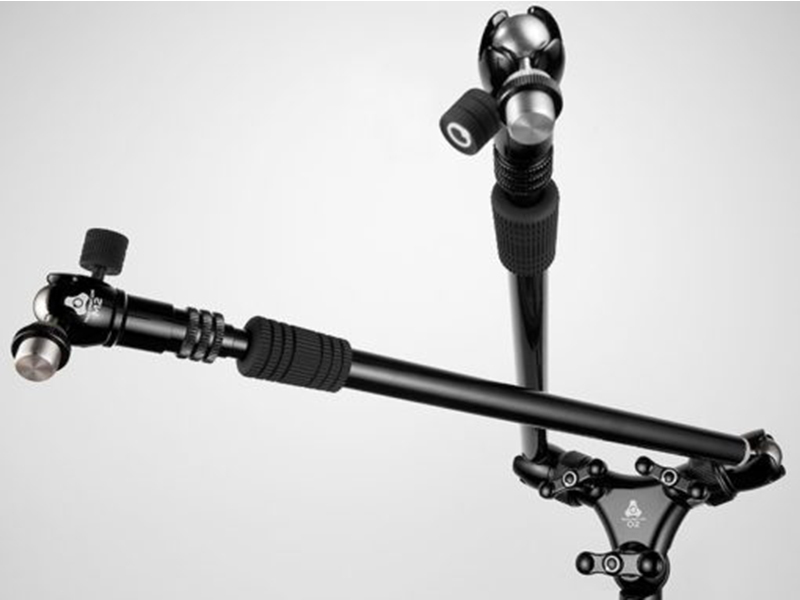 Triad-Orbit Advanced Stand Systems TRIAD-ORBIT represents a quantum leap in the evolution of the microphone stand. Every industry-standard component, from stand bases to mic clips, was analyzed and reinvented to realize a singular objective: precise mic placement without compromise. 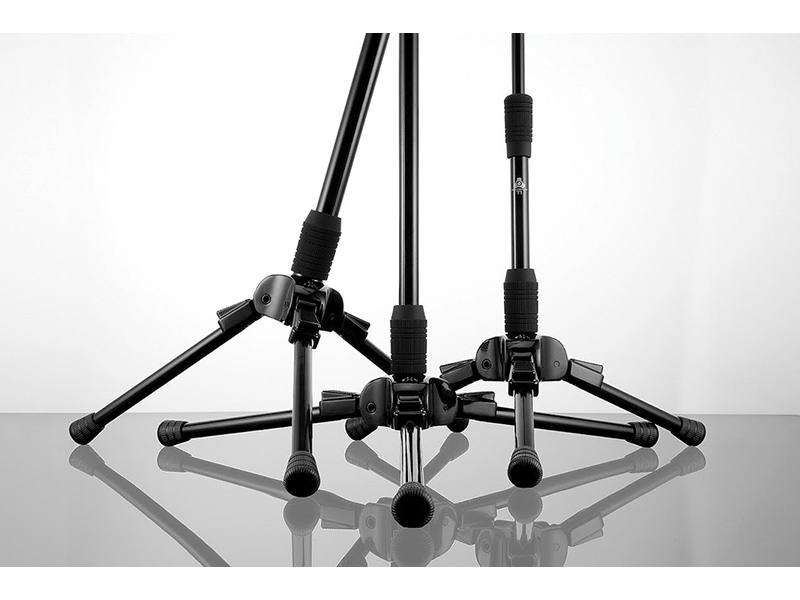 Triad Articulating Tripod Mic Stands The TRIAD proprietary articulating base provides the weight and stability of large diameter cast iron bases and a fully adjustable attitude and footprint, thanks to its patent-pending ratcheting mechanism. Each leg of a TRIAD base has four ratcheted positions that provide up to 65 degrees of pitch to accommodate 'boom-less' front lines, uneven surfaces and stacking for storage. Orbit Orbital Booms ORBIT Orbital Booms utilize a stainless steel ball swivel mechanism to deliver an unparalleled range of motion (360° x 220°) that's extremely smooth, quiet and stable. 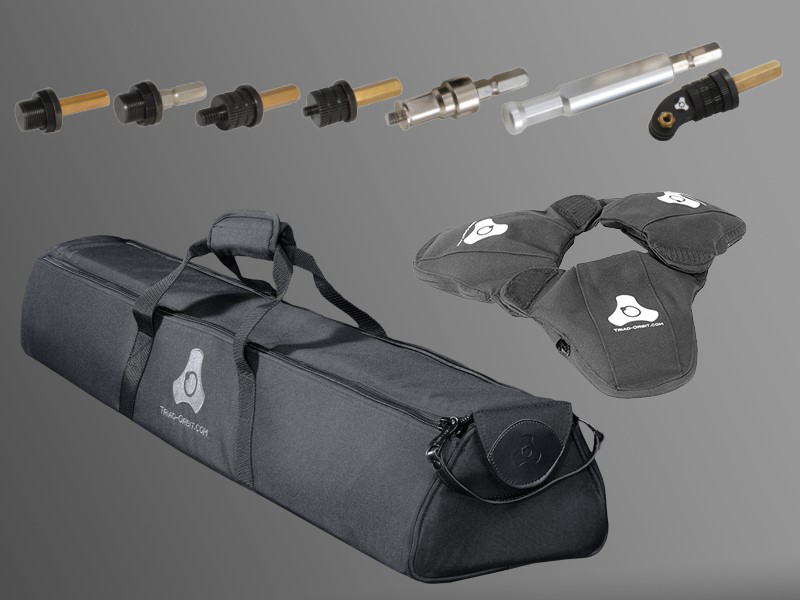 ORBIT Booms incorporate IO Quick-Change Couplers for rapid hardware changes without the hassle and delay of threaded connections. Combining O1 and O2 Booms with M1 or M2 Mic Adaptors creates an advanced mic placement system with unequalled accuracy and adjustability. Micro Orbital Mic Adaptors MICRO Adaptors are miniature versions of ORBIT Orbital Booms, exhibiting the same enhanced range of motion thanks to the unique ball swivel mechanism. Using MICRO Adaptors in conjunction with ORBIT Booms exponentially increases the accuracy and versatility of any microphone stand. IO Quick-Change Couplers The exclusive IO Quick-Change Coupler is standard equipment on all TRIAD Stands. IO effortlessly captures booms and mics with ease and assurance. On-the-fly™ hardware swaps are now a reality, replacing the tedious task of threading booms and mic clips on and off.